Sorry it’s been a while since our last post, but holidays and nice weather have meant a busy period for the Tithebarn Workshops. 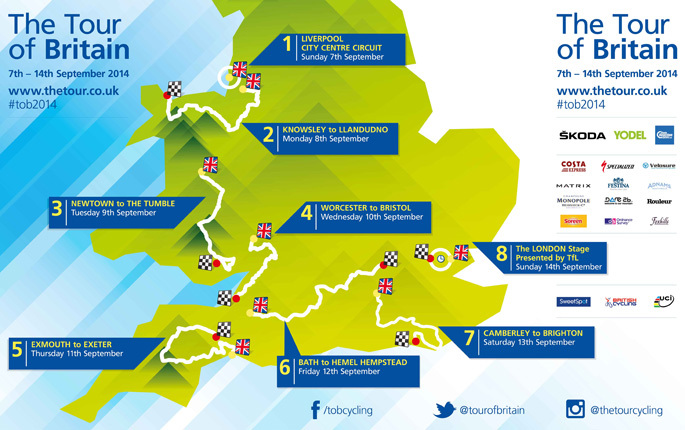 We wanted to let you know, if you hadn’t already heard, that this years Tour of Britain Cycle Race is having it’s 6th stage routed right through Bradford on Avon. The stage runs from Bath to Hemel Hempstead and will see the world’s elite cyclists race down Bradford’s Market Street, over Town Bridge, along Trowbridge Road, past County Hall in Trowbridge. I doubt if they’ll have time to hop off the bikes for a bit of shopping but it should bring in some good crowds and is always good for the Town. This entry was tagged tithebarn workshops, tour of britain cycle race. Bookmark the permalink.